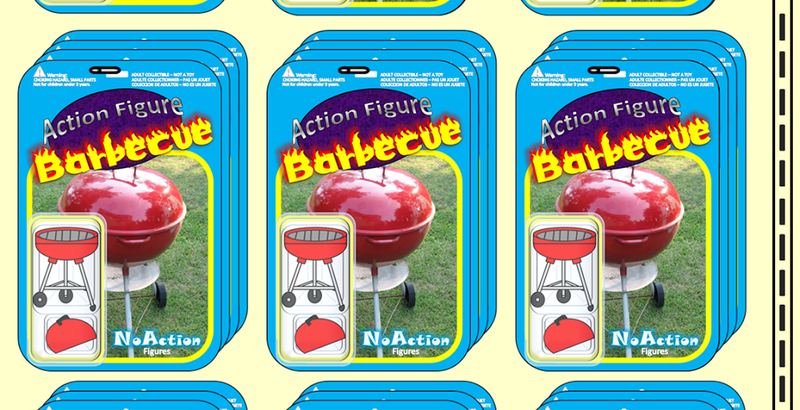 Action Figure Barbecue: Classic Hokey Halloween Horror: 7 Super Spooky Scary Pogs! Classic Hokey Halloween Horror: 7 Super Spooky Scary Pogs! Remember when pogs were the single biggest hobby in the world? It happened in the early-mid 1990s and didn't last long, but while they ruled the world pogs were spoken of in reverent tones, sold for outrageous sums of money, and banned in classrooms near and far. In my vast collection of pogs, I have Christmas pogs, Easter pogs, dinosaur pogs, animal pogs, fast food themed pogs, and of course Halloween pogs. 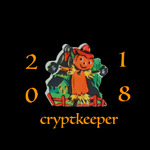 Today I'm going to look at seven awesome pogs from my collection that are sure to get even the most ardent hater of Halloween into the Halloween spirit. We'll start with the most mundane, but perhaps most classic, Frankenstein's monster as seen above. Yup, that's Franksenstein's monster all right. It's a classic interpretation of the monster with some particularly cool little lightning bolts sparking off of the bolts in his neck. This is a really cool sea creature reminiscent of the classic gill man (Creature from the Black Lagoon) with a long tongue, and pointy claws and teeth that also look to be inspired by the early 90s popularity of Venom. Proteuz seems to be a trendy corruption of Proteus, an early Greek water deity. Skeleton Warriors was a cartoon that only lasted for 13 episodes from 1993 to 1994. It spawned a very cool action figure line by Playmates Toys, and apparently a set of pogs. Aracula was an awesome six-armed skeleton warrior that mostly grunted and fought humans. Two armed skeleton = cool. Four armed skeleton = amazing. Six armed skeleton? Someone get fire extinguisher and hose me down; I am officially on fire. Everything had pogs in the 1990s, but the Universal Monsters had an "Official Universal Studios Monsters Slammer Whammers" set. This one is #17 in the series, and features the hairy visage of the Wolf Man as played by Lon Chaney, Jr. You can tell this is hip and 90's because he's apparently throwing out gang signs on the pog. What we can't see is that he's wearing Nike Air Jordans and wearing a Starter jacket. There's a lot going on here. First, this looks like the Ghostbusters logo ghost. Second, he's wearing really cool sunglasses. Third, the glasses have "Fear Me!" written on them. Get it? While we're going around proclaiming "I ain't afraid of no ghosts" this guy is trying to counteract that message with negativity. I see what you're doing there, random pog #25. I also see squiggles surrounding you like an 80's music video. This is a really special pog! Not only is shiny and sparkly, but it has an 80's hair band skeleton on it with a red skull. It also makes a loud and clear statement. "No drugs!" Yup, who the heck needs drugs when you have an awesome pog like this? Honestly, maybe because this pog is so crazy and out of this world that the pog maker felt the moral imperative to reassure the player that they were not, in fact, on drugs while looking at this pog. It's a zombie sailor. He's a marine corpse. Corpse. Get it? I really wish some company still made pogs. These things always bring a smile to my face.